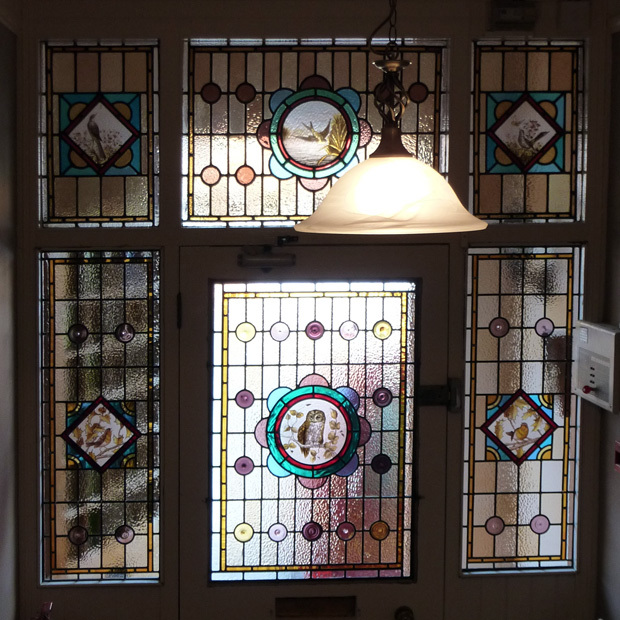 The project brief was to design and create a stained glass door panel and two side panels to match existing Victorian fanlights. 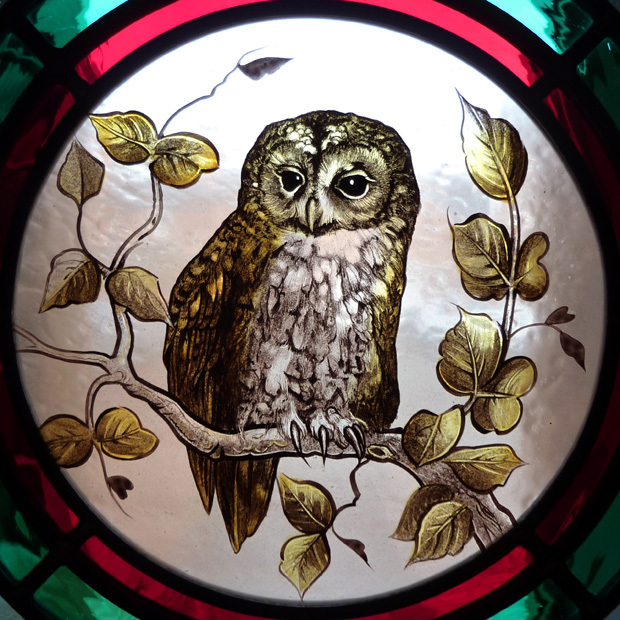 This was achieved using Various textured and hand-blown glasses with handmade glass roundels and lead came profiles to match existing windows. 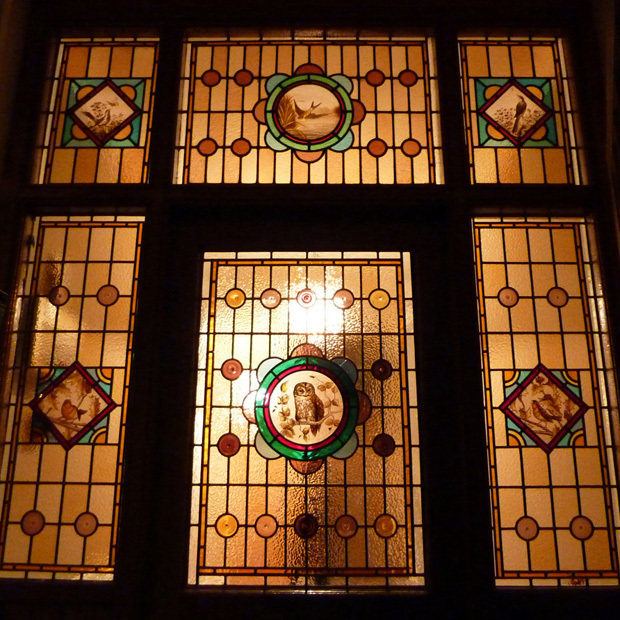 Horizontal saddlebars were fitted to the door panel to add structural strength to the window. 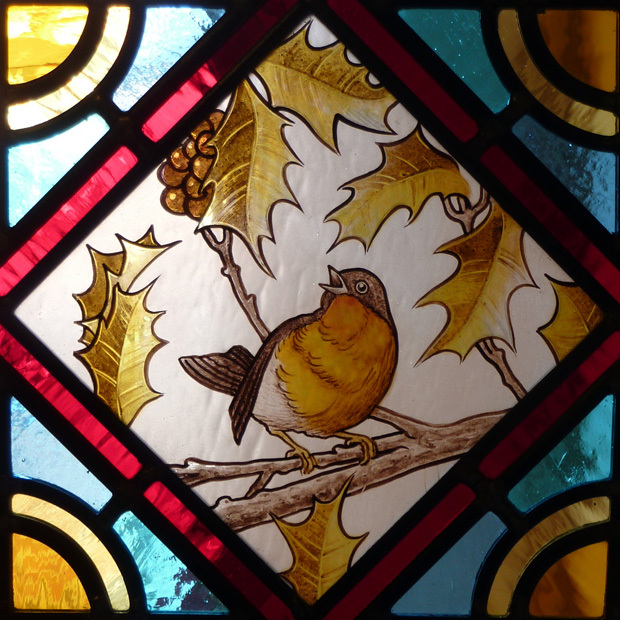 Each leaded light has a new bird feature in the centre chosen by the client and hand painted in tracing and shading paints with silver stain detail.